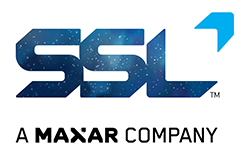 SSL, a Maxar Technologies company (formerly MacDonald, Dettwiler and Associates Ltd.) (NYSE: MAXR, TSX: MAXR) has revealed that two executives have joined the SSL leadership team to develop growth opportunities for the company’s innovative spacecraft systems and expand the company’s focus on smallsats and Earth Observation (EO). 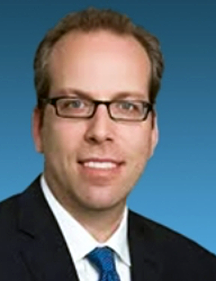 Adam Marks is assuming the role of Chief Strategy Officer (CSO) and Mark Sarojak will serve as VP of Commercial Earth Observation. 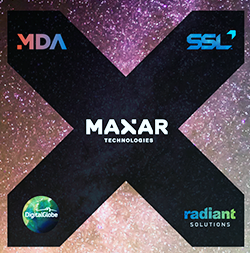 The addition of these two leaders will augment SSL’s strategic and satellite technology expertise and accelerate growth by leveraging the collective power of the Maxar Technologies businesses. Dario Zamarian, President, SSL, remarked that with these innovative and dynamic thinkers, the company is bringing a wealth of knowledge and experience to drive growth. This expansion of SSL's leadership team will help the company to leverage the power of all four of the Maxar businesses to bring the value of the firm's innovative spacecraft systems to the next-generation applications that are driving the new space economy. Chief Strategy Officer, Adam Marks. As Chief Strategy Officer, Adam Marks will develop new markets and partnerships to optimize business opportunities for next-generation communications and space systems for commercial and government customers. He has 20 years of experience in high-tech businesses where he focused on key digital technologies such as cybersecurity, mobile broadband connectivity solutions and big data analytics. 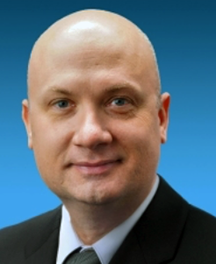 Mr. Marks was most recently VP of Strategy & Corporate Development at Thales Group. Prior to that position, he was at Booz Allen Hamilton where he advised Department of Defense (DoD) and aerospace industry clients. His expertise includes mergers and acquisitions and working with U.S.-based technology start-ups. He has a law degree from George Washington University, a master’s degree in international affairs from Columbia University’s School of International and Public Affairs, and a bachelor’s degree in history from Yale University. VP of Commercial Earth Observation, Mark Sarojak. As Vice President of the Commercial Earth Observation business, Mark Sarojak leads SSL’s remote sensing business, and drives strategies for the wider adoption of satellite-enabled technologies and the growing smallsat applications market. Mr. Sarojak has more than 20 years of experience in technology, geospatial intelligence and dynamic leadership including roles in strategy, sales and marketing. He joined SSL from GeoNeo Inc., where he served as CEO, and provided strategic leadership for the company’s work in geospatial technologies. Previously, Mr. Sarojak spent 11 years at BAE Systems where he developed commercial strategies, led global sales and marketing teams, and grew partner networks. He holds a master’s degree in engineering systems from Colorado School of Mines and a bachelor’s degree in computer science from Wake Forest University.